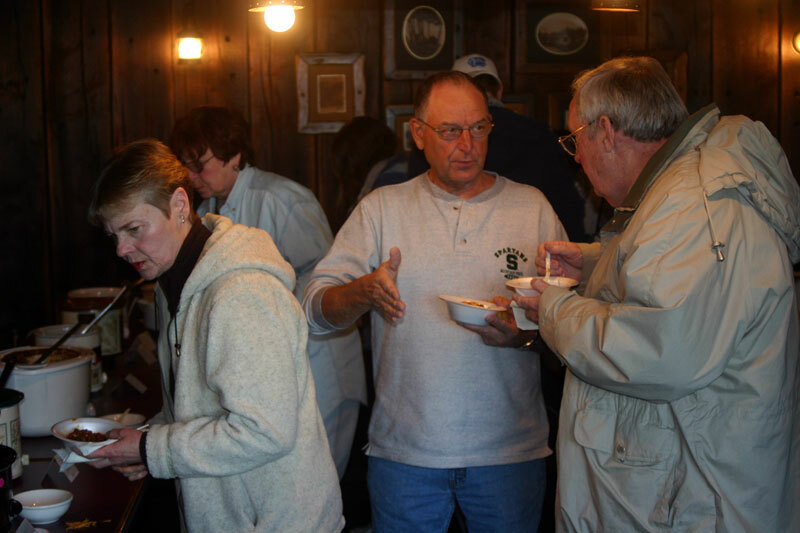 This Sports Boosters Fundraising event was erroneously advertised as being at the Peaine Hall. It is NOT at the Peaine Hall. 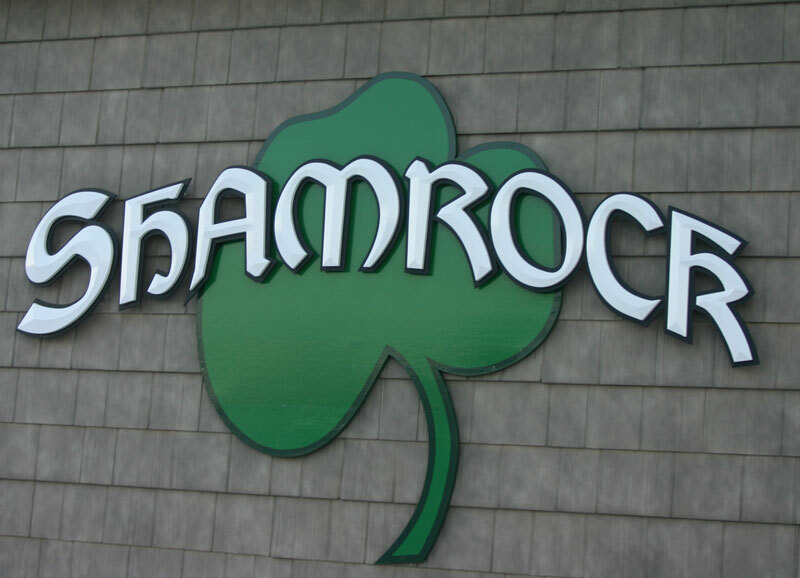 It is taking place at the Shamrock Bar and Restaurant this Thursday, March 6, 2008, 5:30-7:30 p.m. 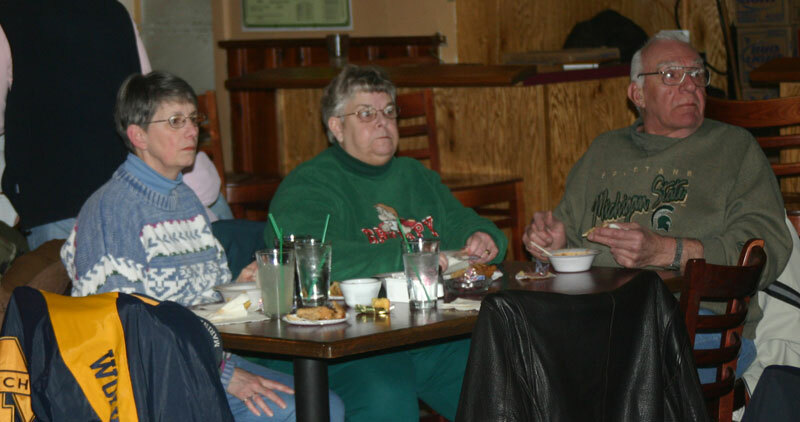 The Sports Boosters Cook-off took place at the Shamrock, Thursday night, with a well-attended group of hungry people. First place in the chili cook-off went to Sue Avery. Second place went to Amy Burris. Third place went to the Shamrock. Plenty of hot chili was available for those who wanted to taste many different kinds. Unfortunately, the winners' chilis went very fast and were completely gone before some of us got started in eating. Dianne McDonough and Sheri Timsak posed for picture at the Sports Boosters table. 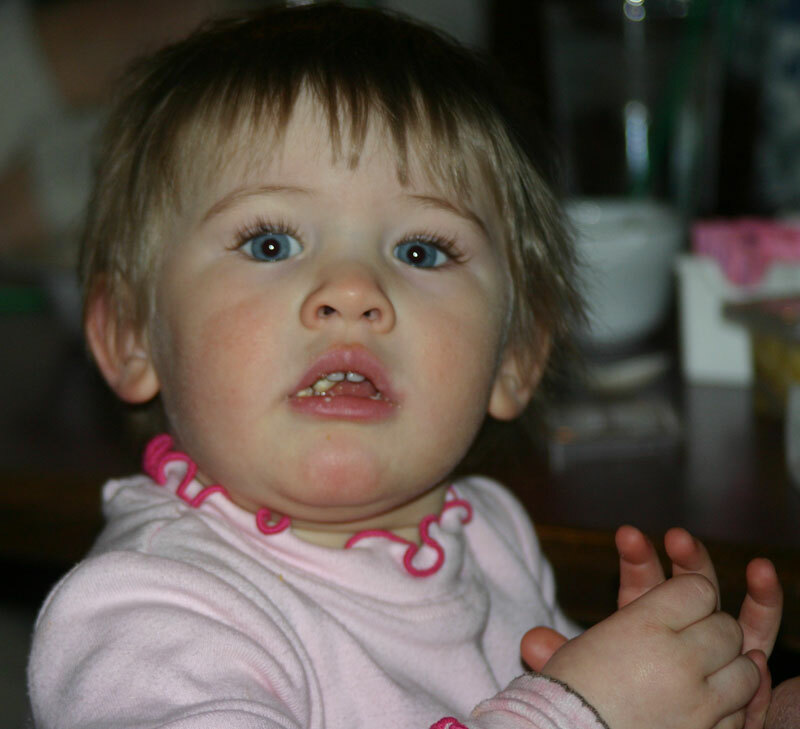 Here is the youngest attendee enjoying her dinner. 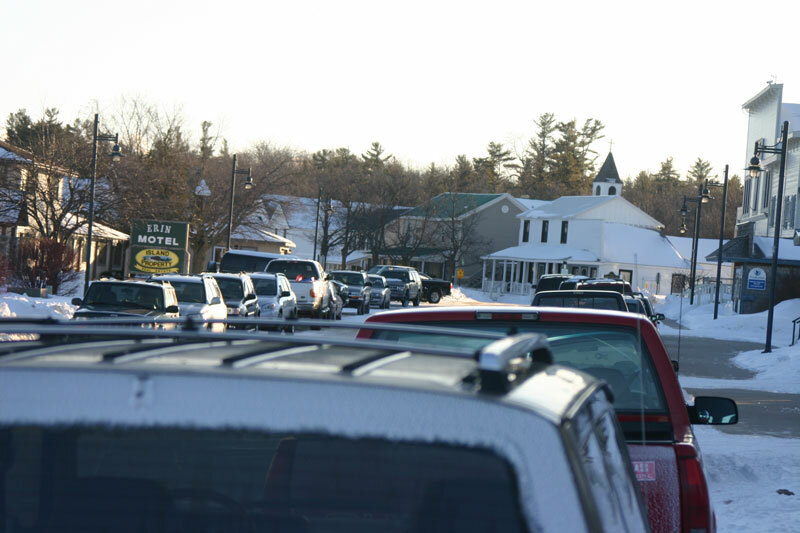 It was very well attended event at the Shamrock with cars lining both sides of the road from the hardware store all the way down to the boat dock. There haven't been that many cars downtown for quite some time--at least not much this winter. The Daylight Savings Time change begins this coming Sunday, March 9, 2008. At 2:00 a.m. this Sunday morning, just after the bars close, the clock gets set ahead to 3 a.m. beginning the Daylight Savings Time requirement. Don't forget to set your clocks ahead or you'll be late for church services, etc. 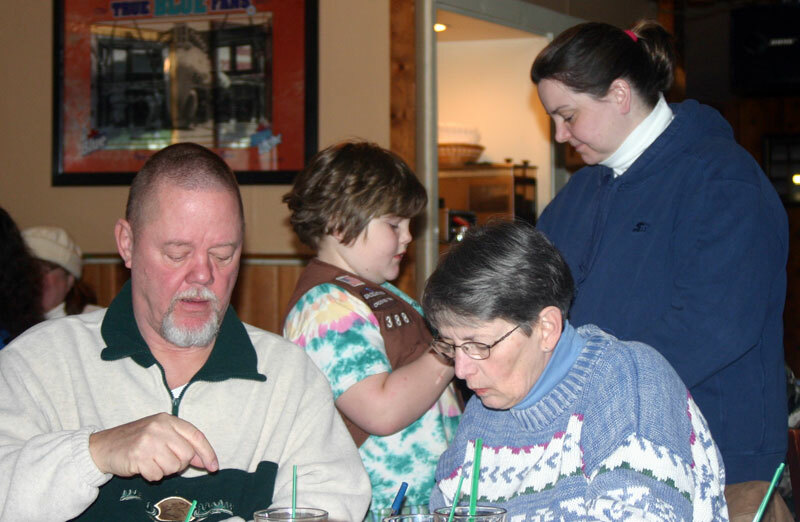 Wendy Kenwabikise-Weidenhamer of Alanson (formerly of Beaver Island) passed away about 1:00 pm on Friday, February 29, 2008. Funeral services will be at St. Francis Church in Petoskey at 3pm on Thursday March 6th. A special rememberance of her life will be directly after the service at Liberty Baptist Church in Alanson (right off of US 31). There will be having a service on the island as well with Fr. Pat, but time and date have not been determined. More information will be posted as it becomes available. Wendy Lynn Weidenhamer, 37, of Alanson passed away at home Friday, February 29, after a 16-month fight with brain cancer. Born on June 26, 1970, in Petoskey, she is the daughter of John Kenwabikise of Beaver Island and Hermenia (Leroy) Hoffman of Gould City. 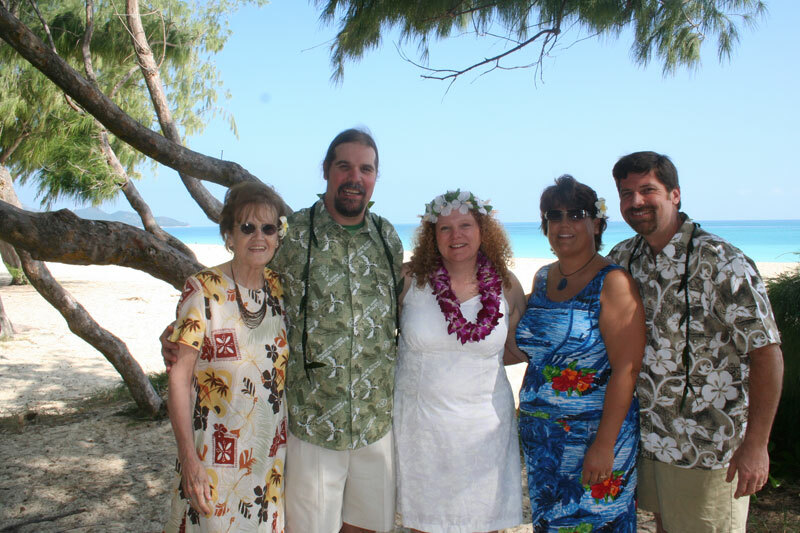 Wendy was a loving stay-at-home-mom of five children, and always enjoyed the chaos of our large family. Not even the cancer treatments and diets could keep her from enjoying her life and family. She consistently supported her children by going to games and after-school activities. Hair or not, she was always there. She fought with her head held high, and always a positive attitude; full of hope and never afraid. 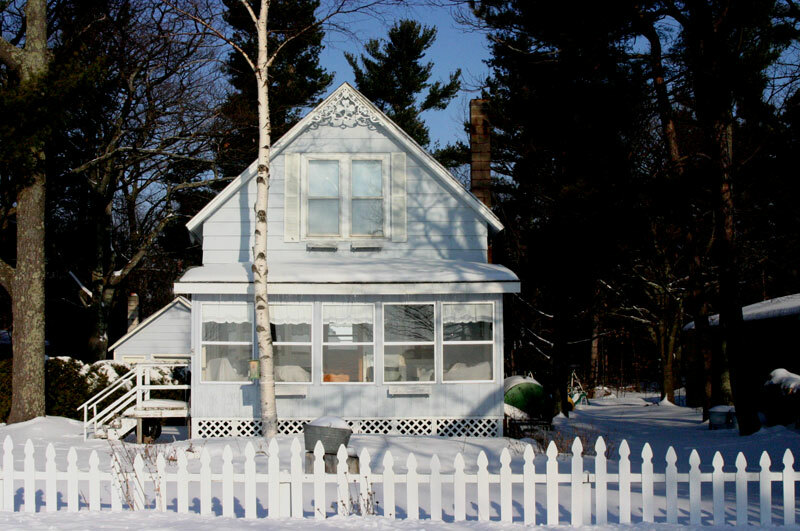 Wendy is survived in life by her devoted husband Richard Dean Weidenhamer; five children; Scott Hughey, 19, Daniel Hughey, 17, Shelby Hughey, 13, Mya Weidenhamer, 6, Mason Weidenhamer, 2, all from Alanson; siblings, Erick (Ardis) Kenwabikise, Simon (Anne) Kenwabikise, Rose (Justin) Skop, Katheryn Kenwabikise and Patrick Kenwabikise; and many nieces, nephews, aunts, uncles and cousins. She is preceded in death by four brothers, John, Kenneth, Dennis, and Jesse; paternal grandparents Paul and Isabell (Wabanimkee) Kenwabikise; maternal grandparents Jess and Rose (Slocum) Moore. Memorial services will be at 3 p.m., Thursday, March 6, at St. Francis Xavier Church in Petoskey. Following the memorial service will be a gathering of remembrance for Wendy at Liberty Baptist Church in Alanson. There will also be a memorial service on Beaver Island that will be announced at a future date. Arrangements were handled at the Charles G. Parks Funeral Home in Petoskey. 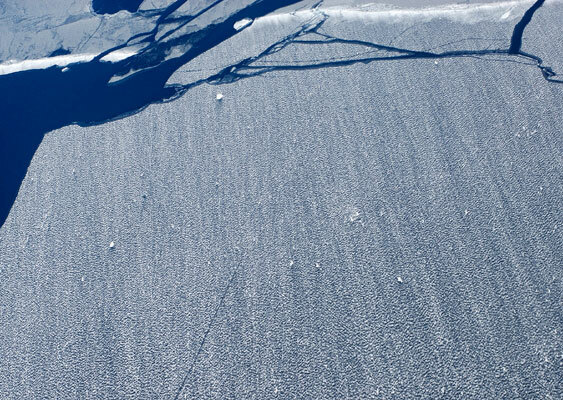 Did you ever wonder what it might be like coming into the harbor in the wintertime by sleigh or by snowmobile? 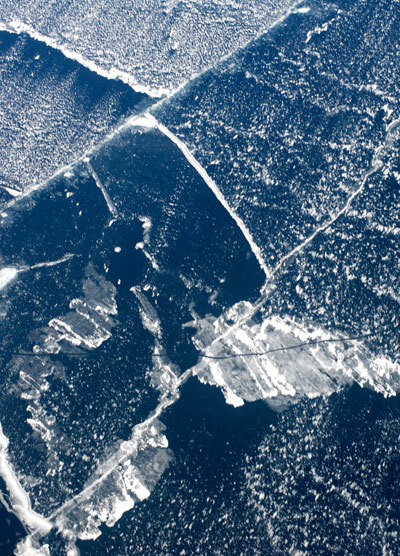 This is what it looks like with the harbor frozen, looking in toward the shore of the "town" area. A fairly short video clip taken while standing about one-third of the way out between the public beach and the mouth of the harbor. 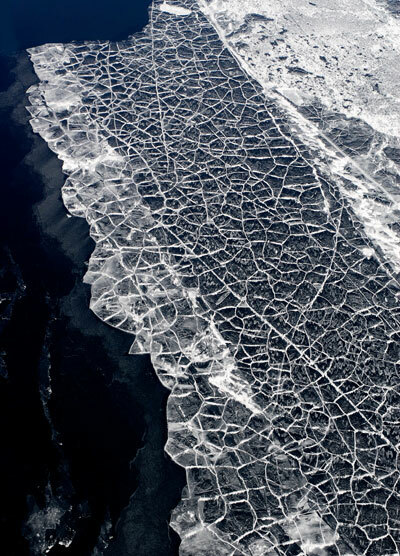 Just a pan from left to right while looking at the shoreline from the frozen harbor. Remember that this will take a while to download to your computer. You also need to have Quicktime in order to view this. 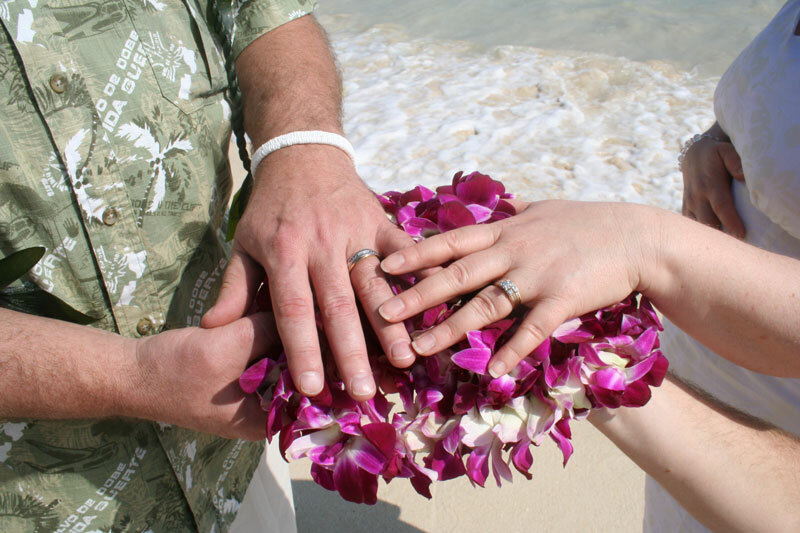 Michelle Ann LaFreniere and Michael Allen Sowa were married on Waimanalo Bay, Oahu , Hawaii on February 22, 2008 at 10 am. Witnesses were Joel Meintsma and Catherine Sowa Meintsma. 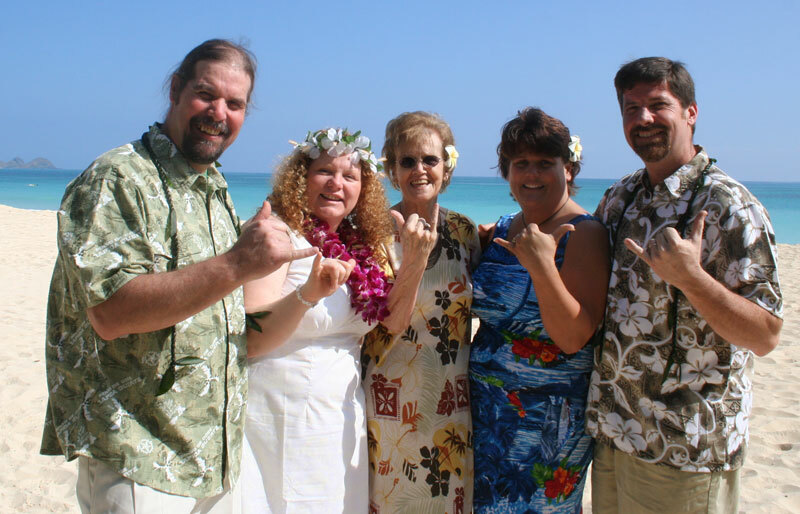 Honorary Witness for both of us was Shirley Sowa, Mother of the Groom. These two homes are on the same road, but not right next to each other. Can you tell who owns them now? Can you tell who used to own them? 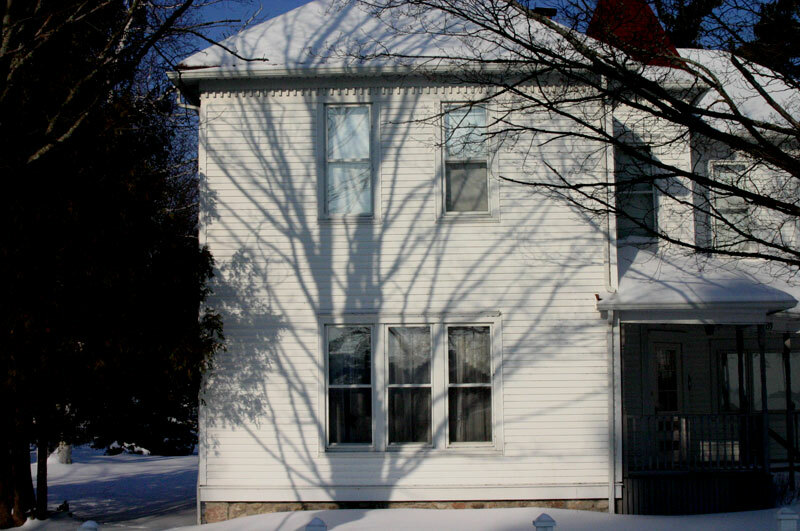 The 1st one is John and Joyce Runberg's, originally owned by John's grandfather James McCann. 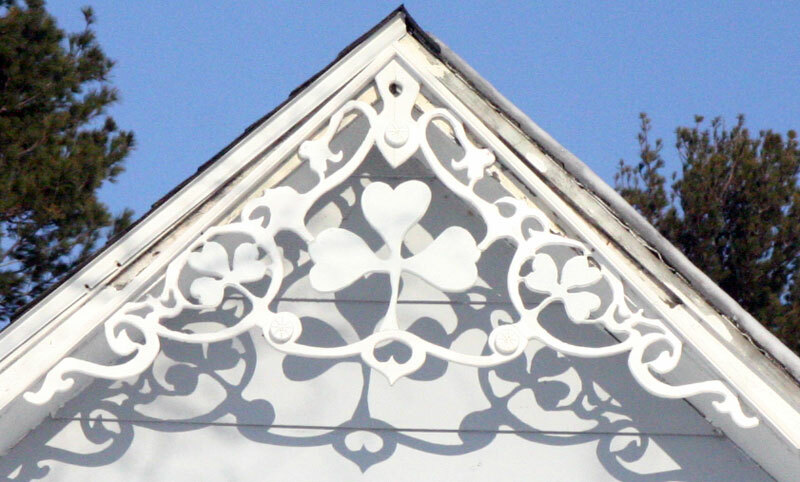 The 2nd one is Paul and Shirley Cole's, previously owned by Shirley's grandmother, Mary "Tom" Gatliff. Beginning Tuesday, March 4, 2008, an opportunity to play music will begin. The group will get together at the Beaver Island Community School Conference Room at 3:15 pm this Tuesday to begin. For further information, please contact the school office. There will be an Easter Egg Hunt at the Beaver Island Community School, March 22, 2008, at 1 p.m. There will be an opportunity to visit with the Easter Bunny and have photos taken with the Easter Bunny. Reminder to all Beaver Island businesses and organizations Donations must be in no later than March 12th. Any questions, please call Tina Walker at 231-448-2020. “Jerusalem Market Place” is the theme of a vacation Bible school which is being planned for children ages three to twelve by representatives The Beaver Island Christian Church, St. James Episcopal Mission, and Holy Cross Catholic Church. The school will run from 9:30 –11:30 am on July 1st , 2nd and 3rd . Building on the great popularity of the Bible School sponsored for the past several years by the Christian Church (50+ children attended last year) enthusiastic volunteers from all three churches are looking forward to providing children who live on or are visiting Beaver Island with a variety of wholesome activities which will include music, crafts, games and age appropriate lessons focusing on Christian values and teaching children what life was like in the time of Jesus. Attendance is free. This is a great way for children to make new friends. All materials will be provided as well as daily snacks and a picnic lunch on the last day of the school. Parents interested in having their children attend the school should contact Deb Robert at 448-2048 or by email at debrob2@gtlakes.com . Deb is also the contact for anyone wishing to volunteer his or her help for the school. More details will follow as summer grows closer. This place was Holy Cross Hall. The year was between 1979-1981. It was around the time that "On the Beach of Beaver Island" was recorded by Edward Palmer and the "Boys." Can you name the three guys on the stage here? The one on the far left is Ron Gregg, perhaps a junior in high school when this picture was taken. The one playing the violin is Joe Moore who played the fiddle on the album. 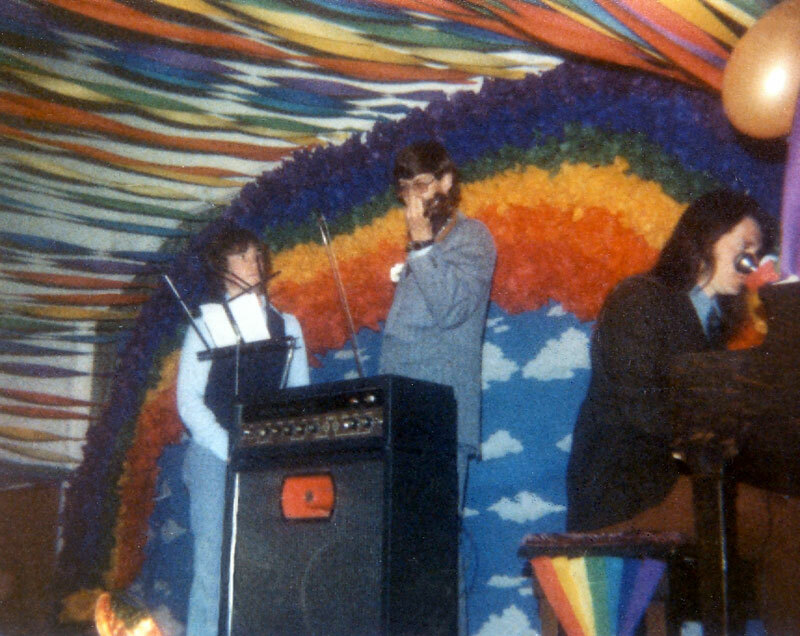 The one playing the piano is Karl Bruder, the person playing the piano on the album "On the Beach of Beaver Island" with the Beaver Island Good-Time Boys. Although Beaver Island Boys' basketball's season ended in Northport at the district game, they played a very respectable and sportmanlike season. Beaver Island lost to Northport. More information will be posted when received. Please click here to go to Frank Solle's photos and story about the District Tournament. introspective meaning to these photos. In what year did Beaver Island get the funding for the full time deputy sheriff? It has only been fairly recently that Beaver Island has had a full time deputy sheriff. The full time deputy position was not made available until 1991. Beaver Island has been fortunate to maintain a full time law enforcement officer for the last sixteen years. Thank you's to St. James and Peaine Townships and Charlevoix County Sheriff's Department Sheriff George Lasater. In what year was the "new' McDonough's Market opened? 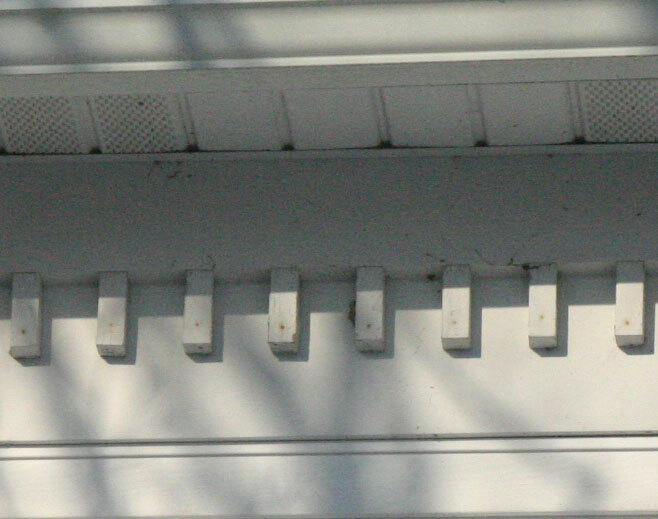 The first correct answer will earn a gift subscription to News on the 'Net for the months of March, April, and May for the person of your choice, anyone who is not already a subscriber. Email your answers to: medic5740@gmail.com. Take a look at the 2/3 page story in the current issue of Traverse Magazine. You will have to click on the image to enlarge it to be able to read it. Aurthor David Graham learned about the great Island hunting when he attended a recent Michigan Outdoor Writers Assoc (MOWA) meeting in Baldwin. Steve West attended the meeting to invite the group to Beaver. The Beaver Island Chamber of Commerce will host a MOWA meeting on the island June 6-8. The Chamber and business members have arranged for special prices in order to attract a large number of the state wide writers group. The Wildlife Club will co-sponsor the visit. 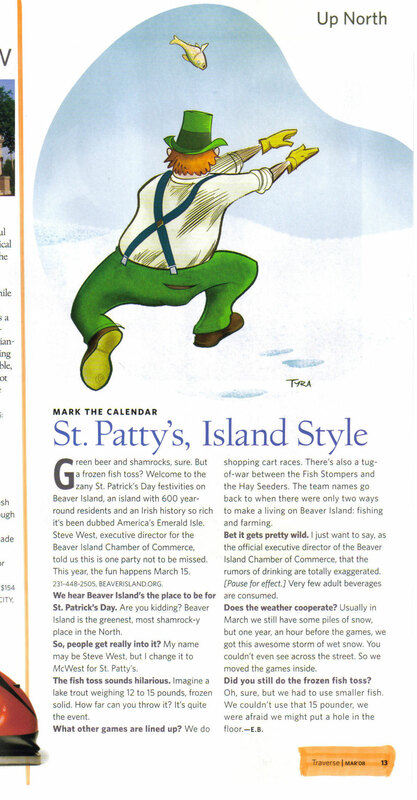 In an article in the Petoskey News Review, Beaver Island gets another promotion for St. Patrick's Day. The Beaver Island Ice Classic contest is underway. 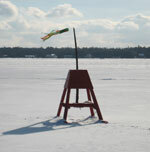 The tower is on the ice just to the East of the Beaver Island Marina docks. The object of the contest is to guess the day, hour and minute the tower tips over when the ice melts. This is the third year of the contest. Last year the tower went in a 2:52 PM on March 28 th and the winner collected over $1,200. In 2006 the tower went in at 8:29 PM on March 29 th and the winner collected Over $600. Tickets are available at McDonough's or from any Preservation Association board member. If you live of the island and would like to participate e-mail Bob Tidmore at b_tidmore@hotmail.com ( please put Beaver Island in the mail subject heading).